Street Fighter V launched to a lot of criticism which was absolutely justified. One of the most popular modes of the franchise called Arcade Mode was not present in the game and that did not sit well with the long time fans. Most of them completely boycotted the game, and others protested this choice. Capcom obviously misread the demand of an arcade mode, but they couldn’t really do anything at that stage, so they decided to take their time developing it. They officially announced that they will be adding the Arcade Mode to Street Fighter V but it will take some time. This week, they have finally launched the demanded game mode and the people who already own the copy can download it for free. 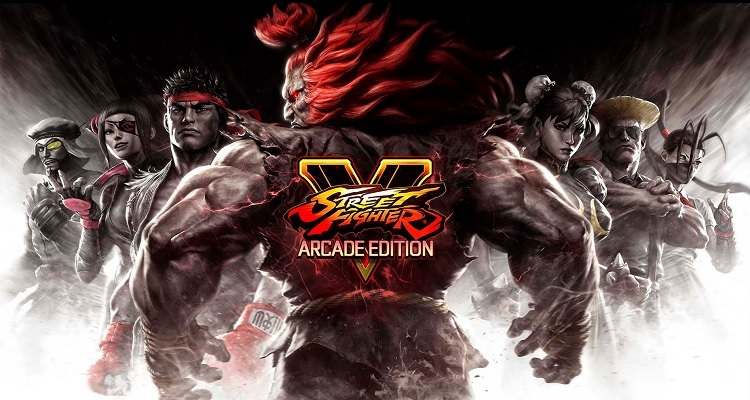 However, if you have been holding out, then it is better to go the newly released Street Fighter V: Arcade Edition. What it includes and why is it a better deal than the standard edition has been explained below. So far, Street Fighter V has received two seasons and each of them added 6 characters each. Both seasons have been added into the Arcade Edition, which means that you will not have to pay any additional charges and would be able to play as all the 12 DLC characters. This is a huge bonus, buying both seasons individually would cost a whole lot more, which isn’t recommended. So, your best course of action here would be to just get the Arcade Edition. Seeing how much in-demand Arcade Mode was, Capcom took their sweet time developing it and it is so worth it. It adds the traditional 1v1 fights that the players love so much, and to make things even better, they have added special stages as well. Some of these special stages are a nod to Street Fighter 2 and if you have been a fan of the franchise, you will definitely enjoy the new additions. The combat was fun in Street Fighter V already so nothing has changed in that department, but including an Arcade Mode has definitely made the game feel complete. Previously, if you were low on health, there was very little you could do about it. However, Capcom has changed that with this new addition. They have added V-Trigger moves that can change the tide of a battle in an instant. If you are low on health, you can initiate V-Trigger move of your character and they will be granted certain ability that can punish an opponent if they aren’t careful. This newly added move has certainly changed the dynamic of online battles as people will need to be on their toes the entire time even when the opponent has a sliver of the HP left. There was nothing wrong with the old user interface, but there is always room for improvement. Capcom realized that and have completely overhauled the UI of Street Fighter V. It now looks even more sharp and colorful. There are some nods to previous entries as well, which makes it somewhat nostalgic. If you have been holding out on Street Fighter V, then now is the best time to pick it up. And to get up to date roster and changes, it is recommended that you pick up the Arcade Edition.